For $6? 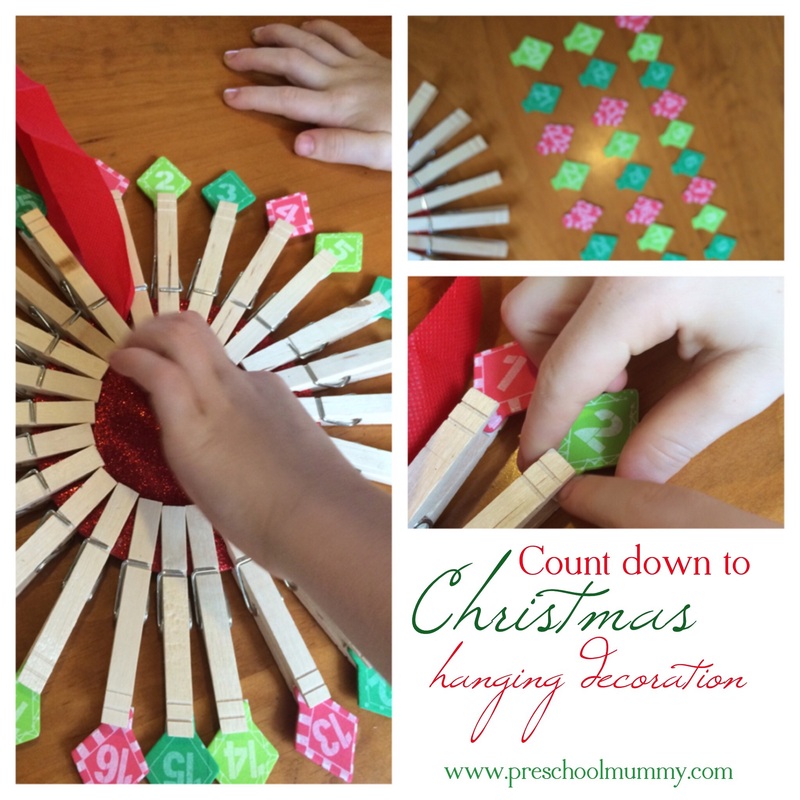 A craft, a decoration, a sweet-free advent calendar. I have had a few people ask me how I budget for craft. One of the ways I keep the cost of craft low is to shop in certain places. And I’ll tell you some of them soon. But first: look at this lovely craft my preschooler and I made this week: Amazingly, it uses no glue! No craft glue! Everything you need comes in the kit so there’s no mad scramble through the craft cupboard/drawer/box for extras. Oh also, it was $6. From KMart. They have heaps of pre-made kit crafts from $2 a kit! Such great value and very convenient. We counted forward and backward to 25. We put the numbers in order. We used fine motor skills to peel the tape, attach the foam pieces and pinch the pegs open. We are ready to count down to Christmas! Previous Post Free Lego Christmas craft at Carindale this weekend! Next Post An advent calendar with a literary twist!